Expertise in research related to movement, exercise and sport. Biomechanigg is a multidisciplinary group of specialists who concentrate on research related to movement, exercise and sport. 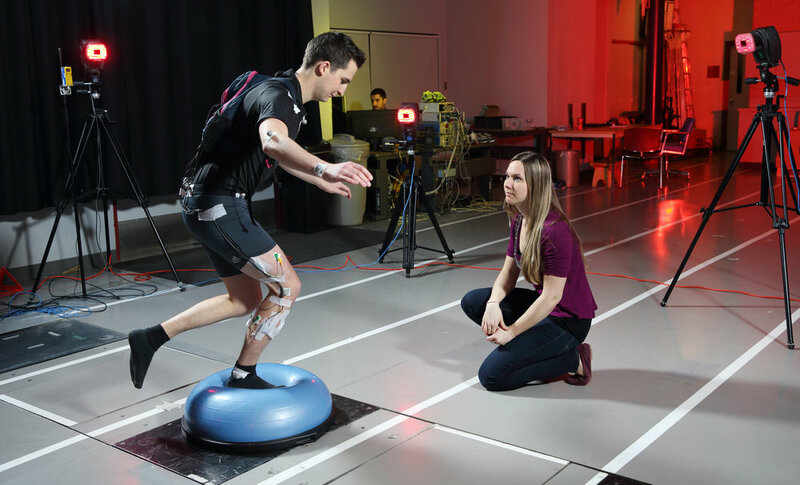 The expertise available through Biomechanigg includes knowledge in biomechanics, market research, sporting good product/equipment development, and testing of footwear, apparel, orthotics/inserts, sport surfaces and many other products relevant for physical activity and everyday life. Biomechanigg is also an academic training ground for graduate students and post-doctoral fellows with a proven track record of preparing individuals for a career in academia or the sporting goods industrial sector. To support our clients throughout the complete product development life cycle from ideation to commercialization. To support and prepare individuals for the next phase of their career. Copyright © 2019 Biomechanigg Sport and Health Research Ltd.